Over the last 60 years, the first generation of humbuckers (often referred to as "Patent Applied For" for the sticker found on the back) made at the Gibson & Epiphone factory in Kalamazoo, Michigan have acquired a mythical status of sorts among players and collectors. Owning or jamming on a late 1950's Les Paul with “Patent Applied For” humbuckers is regarded by many as the ultimate electric guitar experience. Prices for a vintage 50's Les Paul Standard often exceed $250,000, with a few models (such as left-handed, artist owned, and even a few unplayed models that still have their hang tag) selling for as much as a house. Many players assume that the only way to make a modern Les Paul sound “vintage” is to install expensive, hand-wound "boutique" pickups. 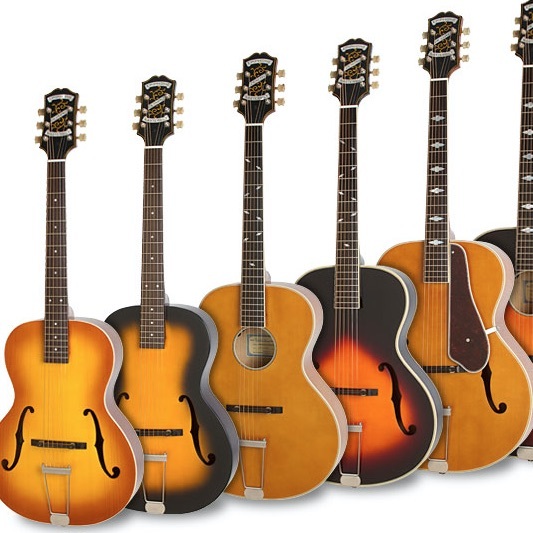 (Or, save up for the more serious investment of buying a vintage guitar.) For Richard Akers, Epiphone's Director of Research and Development, securing Epiphone a spot in the crowded race to produce a true “Patent Applied For”-style humbucker was the ultimate challenge. "Our Epiphone ProBucker™ pickups are not just slight improvements over previously produced pickups. They were completely designed here in Nashville and tooled from the ground-up at a new factory dedicated to high end pickup production," said Akers. "These pickups use only the highest quality components and are based on the most sought after humbuckers from Gibson's history. I spent many, many hours making sure these came out great and I am really happy with the results. They sound fantastic." Epiphone ProBucker™ humbuckers truly achieve that ‘patent applied for’ tone. That vintage sound may not be to everyone’s taste (which is why we make more than one kind of humbucker). But for devotees, owning a Les Paul with ProBucker™ pickups provides a player with a tonal palette unmatched by any other pickup. ProBuckers™ can sound stark, grungy, clean, shimmery, creamy, bold, round, skinny--the list goes on and on. Today, the relatively new ProBucker™ humbucker makes Epiphone a real contender for those seeking that 50s humbucker sound. But don't take Joe’s word for it. Naturally, we thought the finished ProBucker™ pickups were serious contenders. 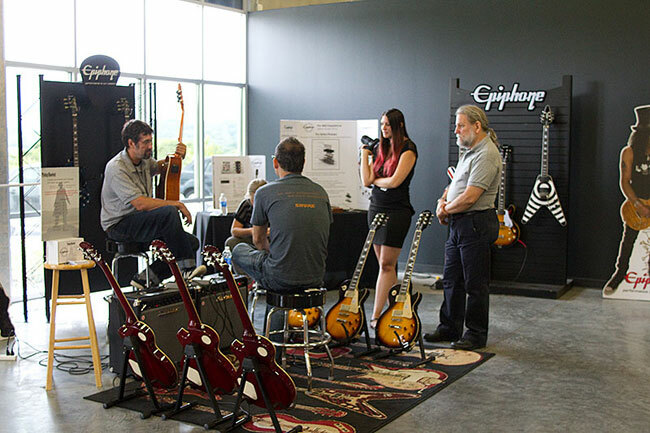 But the first indication that our ProBuckers™ were something special came when Akers set up a "humbucker challenge" station during an open house to celebrate Epiphone's 140th birthday. Akers set up two sets of three Les Paul Standard PlusTop PROs (in Vintage Sunburst and Heritage Cherry Sunburst) and encouraged visitors to check them out. 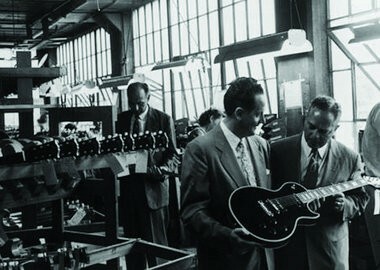 Both groups of Les Pauls were set up with Epiphone ProBucker™ pickups as well as two other fine boutique humbuckers. Various guests—dealers, colleagues, and magazine writers--participated in the "blind" challenge. 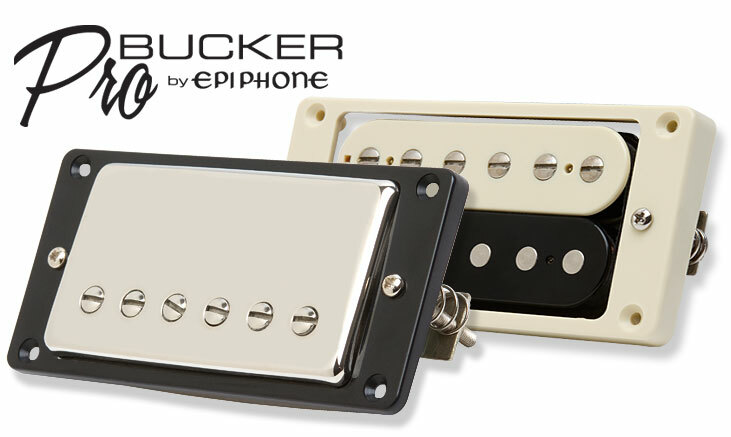 While every pickup sounded fantastic and the differences were slight, Epiphone's ProBuckers™ were chosen as the preferred pickup by a majority (61%) of the players. Check out the video below to see the challenge in action and some of the surprising results (and guests)! The first humbuckers were installed in Les Paul Standards in 1957 at the Gibson and Epiphone factory in Kalamazoo, Michigan and at the time were not considered to be a tonal breakthrough as much as they were a practical breakthrough. Inventor and Gibson/Epiphone staff technician Seth Lover, who first applied for a patent for his humbucker pickup in 1957, certainly recognized that the humbucker had a unique sound. But primarily his mission was to offer guitarists a pickup that brought down the noise without sacrificing tone. Coincidentally, Gibson/Epiphone owner Ted McCarty, who put Seth onto the task of making the humbucker, was also seeking to improve lackluster sales numbers for the Les Paul. But the Les Paul Standard and its new humbucker pickup (with a "Patent Applied For" sticker on the back) didn't take off and were produced in low quantities through 1960 before being discontinued. The Les Paul enjoyed a revival in the 60s thanks to Eric Clapton, Michael Bloomfield, Duane Allman, and Peter Green, who each discovered that Les Pauls with humbuckers turned up loud (often through 50-watt Marshall amps) had tremendous tone and presence. Keith Richards, who played a late 50's Les Paul Standard with a BigsbyTM in the mid 60s, was a major influence on Bloomfield and Clapton discovering the Les Paul. 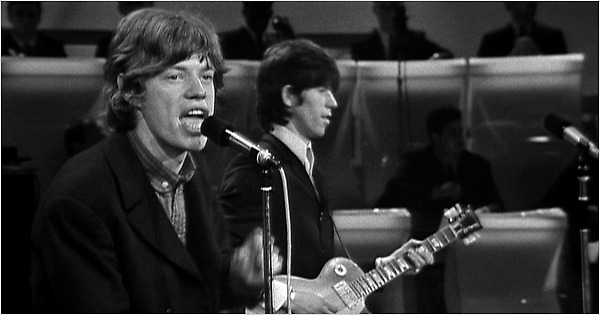 Richards had just put down his Casino in favor of the Les Paul when the Rolling Stones performed on the T.A.M.I. show in 1965, which also featured a now legendary set by James Brown. Thanks to Clapton, Allman, and Bloomfield, the Les Paul Standard became a sought after guitar (even influencing Gibson to put the Les Paul back into production in 1968. Over the years, a story circulated that humbuckers were wound by part-time housewives and retirees who made each pickup slightly different, depending on their machinery and their whimsy. "Just like a good chef uses science and art to create unique dishes a good pickup designer is able to use ingredients in unique ways to create sound," said Akers. "All the ingredients are available to anyone willing to look but you have to know how to combine them and what is important. 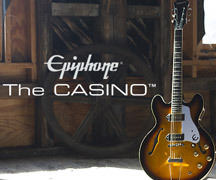 And for us here at Epiphone it is crucial that we do so in a way that provides the greatest value for our customers. Knowing the ingredients in a fine family recipe and how they combine is very similar to how I went about producing these pickups that are based upon pickups synonymous with what our ears have evolved to know as THE sound of Rock and Roll, the 50s era Gibson P.A.F." Before coming to Epiphone, Akers started in the Gibson pickup division and became a keen student of the sound of a P.A.F. humbucker, which he first heard about when he began playing guitar as a teenager. "I've got a degree in Electrical Engineering so I appreciate the science but I also understand the subjective nature of sound and the nuances of pickup design," said Akers. "There are certain aspects of the design that are critical to insuring a quality product. It all starts with the dimensions of the bobbins. The shape and size of the bobbin are critical to how the pickup is going to respond. As I mentioned, the sound of Rock and Roll has been defined in large part by the early Gibson made humbucker pickups. We tooled up our bobbins for our Pro Series pickups to the exact dimensions of these classic Gibson pickups. Another key ingredient to produce a top quality pickup is the use of Nickel Silver unit basses and covers. This is crucial to achieving the transparency and high-end sparkle needed for a great pickup. This is the one aspect of pickups used in Asian built guitars that most manufactures don't want to pay for. It's more expensive than using plated brass but it makes a real difference. We also use the highest quality magnet wire available, Elektrisola. The thickness of the insulation on this wire also plays a part. We use the thinnest available, single build. Every aspect of these pickups was considered. We specified the correct alloys of metal for the pole shoe, screws, and slugs. The magnets are sand cast Alnico magnets. All these seemingly insignificant parts add up. The Pro Series pickups are extremely well made, high quality pickups." "Of course, the sound is subjective," continued Akers. "There is a reason there is more than one flavor of ice cream and more than one pickup on the market. People like different things. But before you automatically assume you need to rip your pickups out of your new Epiphone Pro Series guitar and spend another couple hundred dollars give the ProBuckers a chance." "There's a great quote from Seth Lover, the inventor of the humbucker pickup at Gibson, who when asked how he figured out how many turns of wire were needed on each bobbin said something to the effect of "as many as they would hold." Same with the wire gauge. 42 gauge was just the economical choice at the time. What we perceive today to be a great sounding pickup is partially great because that is the sound we grew up hearing as the definitive sound of Rock and Roll. It's what our ears want to hear. There is also a lot of truth to the fact that through some very intelligent engineering and also some just plain old luck Seth Lover and Gibson created a fantastic sounding pickup that worked extremely well in the guitars they were producing at the time. Our modern manufacturing procedures certainly give us a higher degree of consistency but it's hard to top the sound produced by the best examples of the golden era." Epiphone ProBuckers™ feature 18% Nickel Silver unit bases and covers, the same alloy used by Gibson. The use of Nickel Silver reduces the occurrence of eddy currents due to low conductivity and provides a more transparent and crisp output. The size and shape of bobbins also has a great impact on tonal response. The bobbins used on the ProBucker™ pickups duplicate the size and shape of the gold standard in the industry, Gibson humbuckers. Epiphone ProBucker™ pickups also feature Sand cast Alnico II magnets, high quality 4 conductor lead wire and are vacuum wax potted to eliminate microphonics. Today’s Epiphone’s original line of pickups also include the Alnico Classic PRO™, the Ceramic Plus™ humbucker, the P90 PRO™, and the ProBucker™ FB720, a one-of-a-kind faithful recreation of the original early 60s Firebird. "There's always new ground to break. That is what got us the humbucking pickup in the first place," said Akers. "Smart people trying to solve problems. I think there will be a prominent place for these classic pickup designs for many years to come but there is also room for exploration and experimentation. It's hard to predict where technology will take us but I'm certain people will keep trying to improve upon what came before." Check out our Les Paul section for yourself and don't be fooled again.